ALTADENA >> The June 1 deadline came and went Monday for the Yuge sisters, who are still working to pack up nearly a century’s worth of family history from a historic area home. That home is the gardener’s cottage where the Yuge family has lived on the former Scripps estate in Altadena since the 1920s, when the late patriarch Takeo Yuge became a caretaker for the property. The cottage, built by Takeo’s uncle Hanjiro, was intended for the family to stay in as long as they liked, but when the Pasadena Waldorf School purchased the Scripps estate in 1986, a new agreement was drafted: Approximately six months after the last parent dies, the property must be returned to the school. So, in essence, Pasadena Waldorf School is choosing to foreclose on a family that has lived on the property all their lives... You might ask why? Although an attorney sent a letter on behalf of Pasadena Waldorf stating that on June 1, officials could have all their belongings removed and placed in storage at the family’s expense, trustee William Birney said it was unlikely the school would take any “dramatic” action just yet. Ah... so there is a construction project that needs to get started right away. Let's find out more, shall we? Administrators said they needed access to the property beginning June 1 to start staging construction to rebuild two classrooms that burned down in an electrical fire in 2014. In an interview last week, Puls said the school had not yet finalized design plans or applied for a building permit from the county. OK... they need the property to rebuild two buildings that were burned down in an electrical fire... and apparently the two buildings cannot be rebuilt on that site. No explanation as to why. No permit has been applied for... that will take weeks... and the new buildings are still in the design stages. So... what's the rush one might reasonably ask? Although school officials are not sure what will be done with the 1-acre parcel containing the home and remnants of the nursery and gardens Takeo tended, a conceptual master site plan was presented to the Yuge sisters earlier this year, which included a parking lot and a long driveway. Officials have since said it was merely “conceptual” and was created without assessing the property. The sisters had doubts when the school initially refused a request to nominate the 86-year-old Torrey pine for Altadena’s inaugural tree of the year contest but Waldorf administrator Douglas Garrett said they later agreed to nominate the tree, therefore making a public commitment to preserve it. Altadena Heritage presented the award to Waldorf officials Sunday at its annual Golden Poppy Awards. So, after being criticized for not saving a historical tree (imagine how other Waldorf Schools would feel about getting that kind of reputation), they receive an award for being shamed into doing the right thing. But let's get back to whether the property is necessary for new classrooms - or are they planning a driveway that needs to run through this property immediately. This is what the Yuge sisters saw at the master plan meeting. This is a 30 YEAR MASTER PLAN by the way. It appears the 30 year master plan has a driveway running alongside the Yugo property. 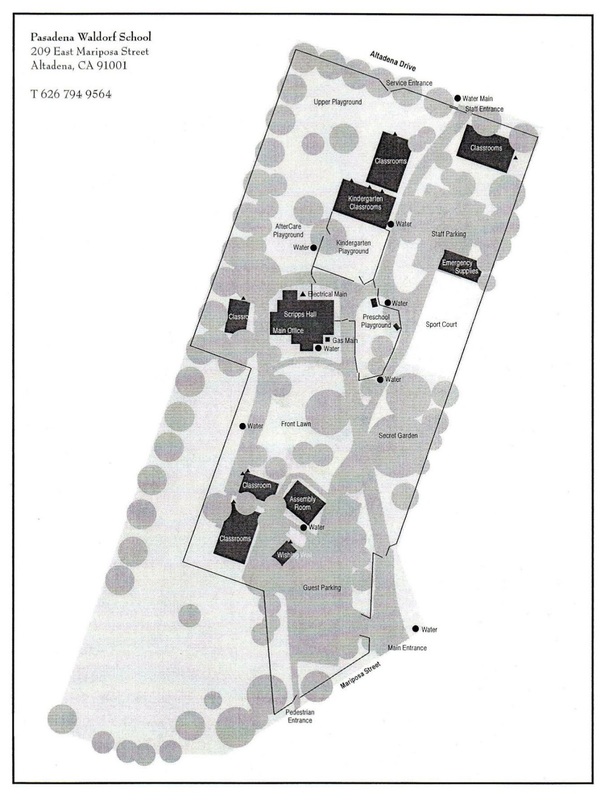 I am told the classrooms that burned down are shown in their original locations on the master plan. 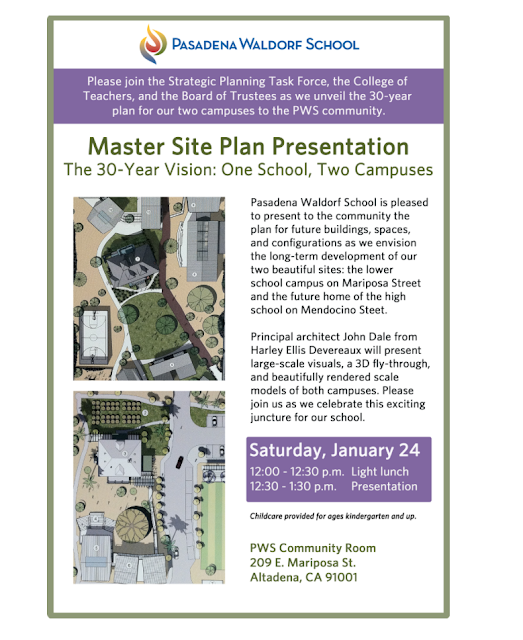 Did Pasadena Waldorf School representatives suddenly decide to move those two classrooms to the Yuge property and throw out the 30 year master plan? Or did they misrepresent their intentions to the newspaper covering this story? I see models in the picture above. 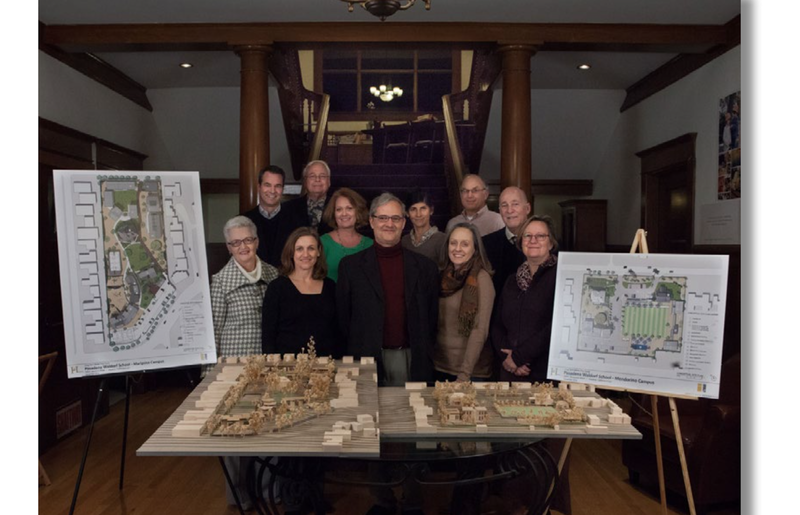 One doesn't spend that kind of money on a master plan and suddenly change it to relocate two classrooms. The classrooms we are talking about are shown in black opposite the parking area - just as in the master plan. It appears the school isn't being honest when it says it needs to relocate them to the Yuge property. I invite comments from the school. You sir, are a douche. Two people visited my site today. One of them called me a douche! Your ability to mock people seems well-practiced... are you a Waldorf teacher? Cindy Yuge shared her family's story with Take Two. Meantime, Bill Birney, who is the chairman of the Board of Trustees for the Waldorf School, says that as of two weeks ago, they have committed to preserving the Torrey pine tree. However, a plan for the rest of the property can't be determined until the school can gain access for inspection. He said he also feels that the media is contributing to unnecessary tension. Zzzzz, I want 30 years of free rent too, where do i sign up? If you're an Anthroposophist... you could probably move right in to the home they are evicting these people from. THAT'S the problem here... the Yuge family are considered "outsiders" by PWS... DESPITE having shared the property for 30 years. It's a shameful of Pasadena Waldorf School to do this. Oh... and why lie about the urgent need to move the family out. They didn't need to lie... AT ALL. They just wanted to. Shameful! The story made ABC News! And the family cottage will be preserved. NO, Pasadena Waldorf School, we're not about to accept an excuse that the building caught fire - we expect you to burn it down to avoid the cost of moving it! Predicted here - June 16, 2015! 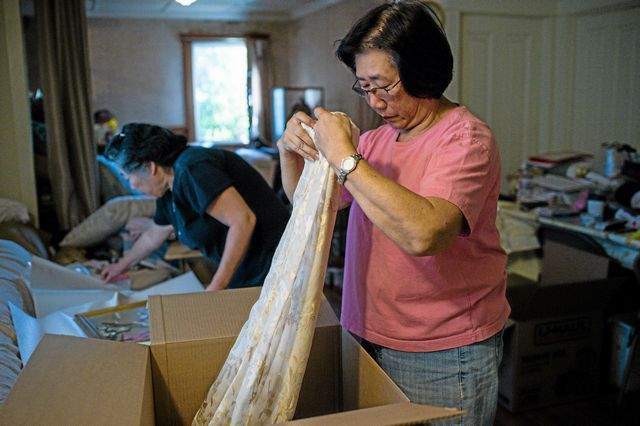 Four sisters trying to preserve some of their family history will find out Monday if an offer on their parents’ ancestral home will be approved by a Pasadena school board. "The Pasadena Waldorf School Board of Trustees will consider an offer to purchase the western portion of its campus where the Yuge family’s ancestral cottage and garden sits."